Open 24/7? So are we. 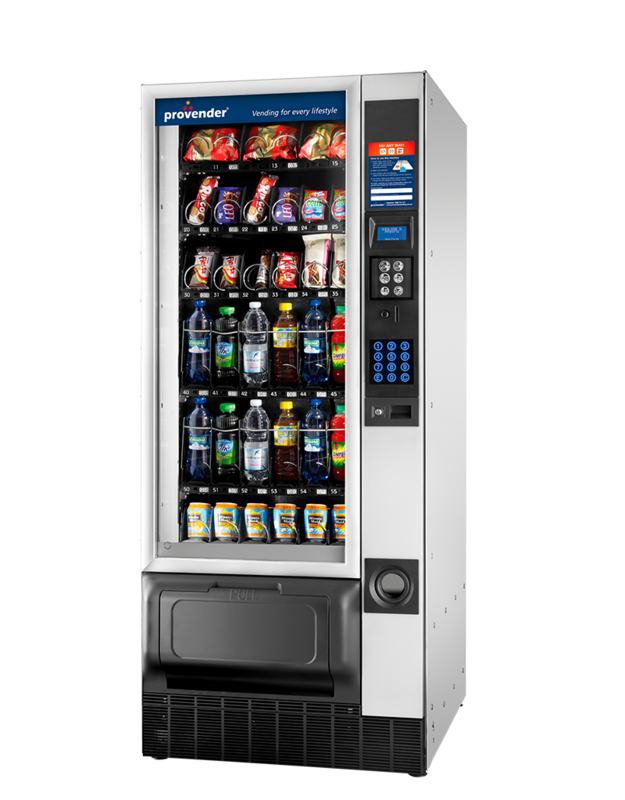 If your staff need access to the widest range of icy cold drinks and delicious snacks, then we are your natural choice. 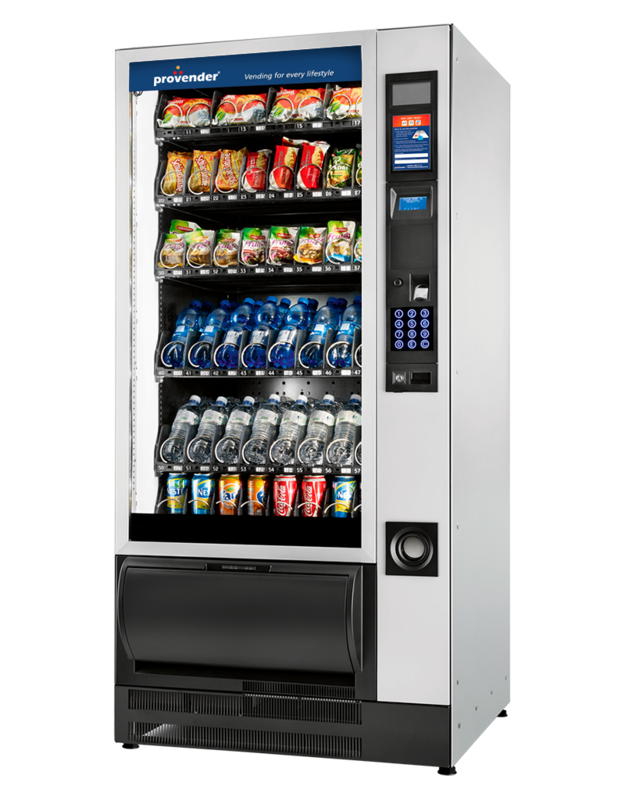 Many of our warehouse, industrial and construction based customers operate 24 hours, 7 days a week, making it crucial for their hardworking staff to have convenient access to not only drinks and snacks, but also more substantial ‘meal’ type products. 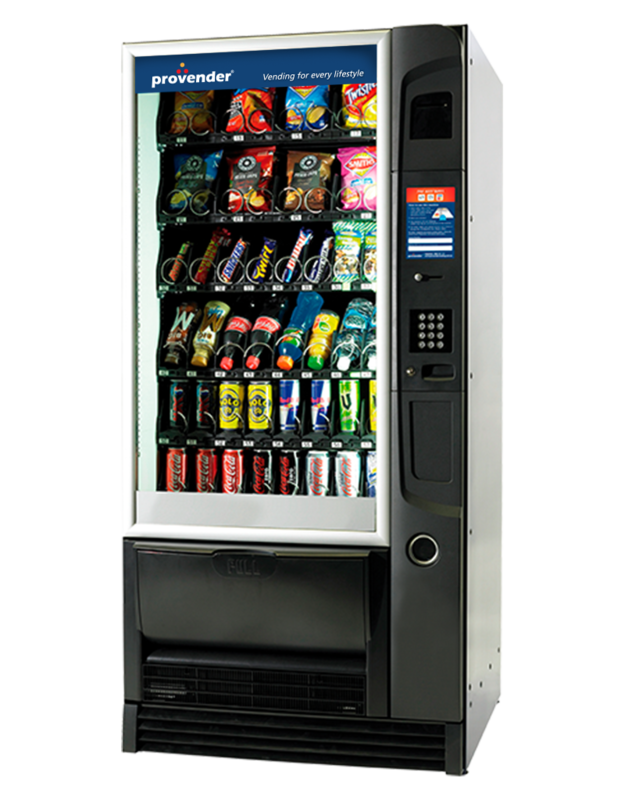 We can work with you to custom tailor the perfect vending solution for your specific staff needs. Like a sneak peek? 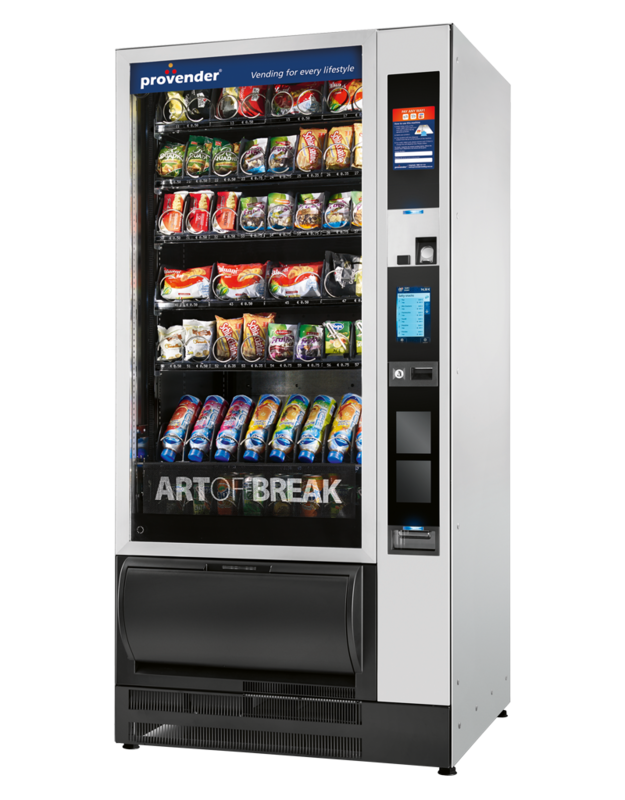 Take a tour of our state-of-the-art machines. Selection of cold drinks (can and bottle) from the leading brands. User friendly – quick, simple, easy to use. Refrigerated – keeps refreshments cool. Vend detection – detects when a product hasn’t been vended and vends another product. Energy efficient – low energy consumption. 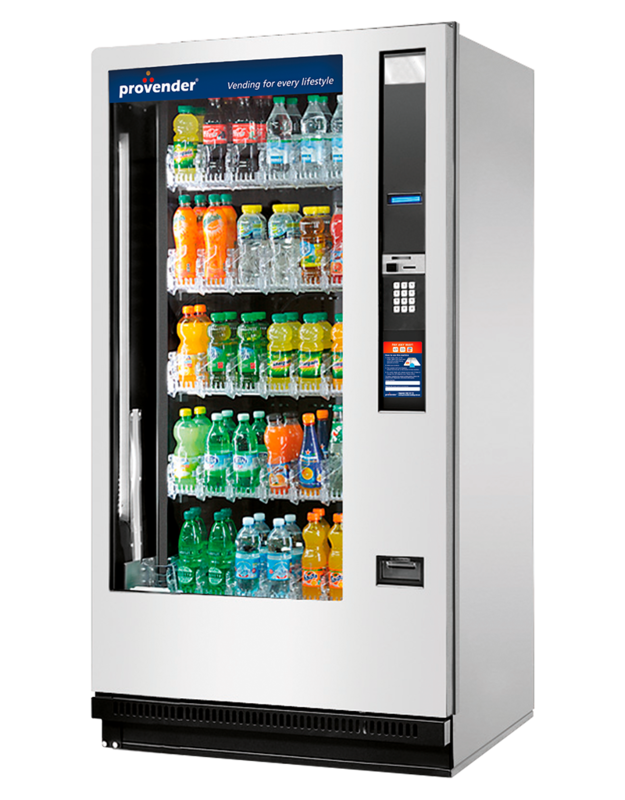 Sites requiring a large selection and capacity of cold drinks. Selection of snacks and confectionery from the leading brands. Meal options (please ask me, your local franchisee for more information). 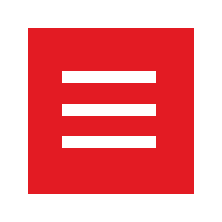 User friendly – quick, simple and easy to use. Wide range of snack selections – plenty of room for all your favourites. 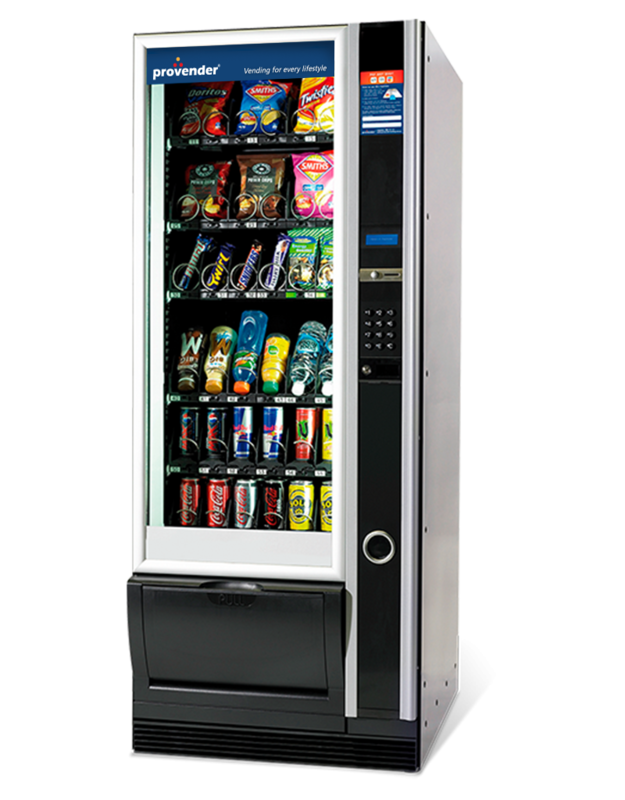 Selection of cold food, sandwiches, dairy products, fruit snacks, cold drinks (can and bottle) and confectionery from the leading brands. With each product occupying an individual compartment, the Shopper offers you a wide and varied range of products. Each compartment can hold a plated meal or can be separated into a maximum of four segments to offer sandwiches, snacks, dairy products, fruit or cold drinks. Refrigerated – to keep refreshments cool. 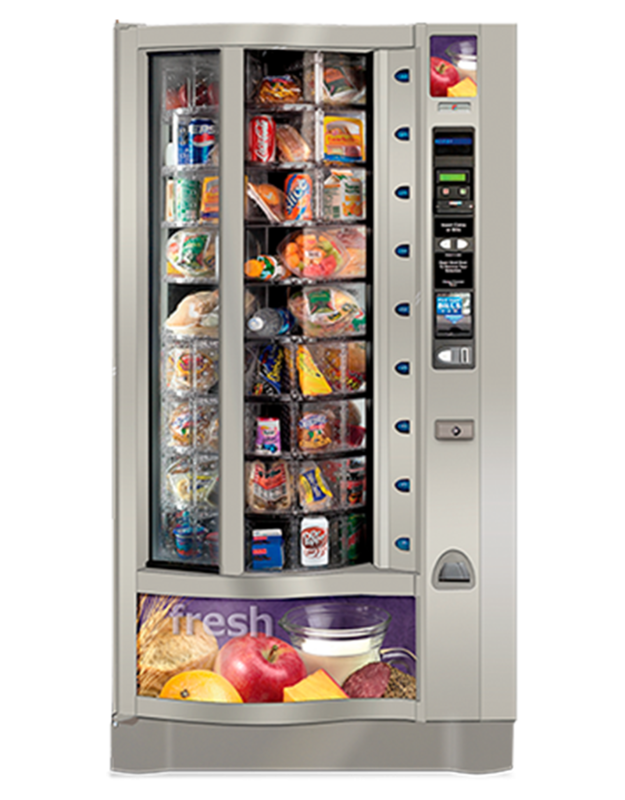 Sophisticated temperature monitoring with auto lockout features to ensure food safety at all times. Businesses that want to provide an around the clock catering solution. 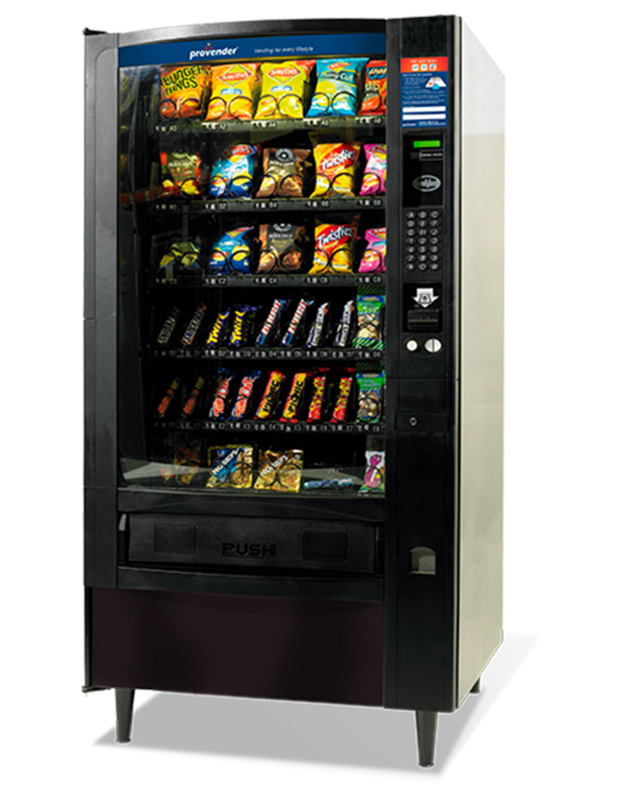 Selection of snacks, cold drinks (can) and confectionery from the leading brands. Compact and slimline with a small footprint. Front ventilation – can be placed directly against the wall. Low height – can often fit under other fixtures. 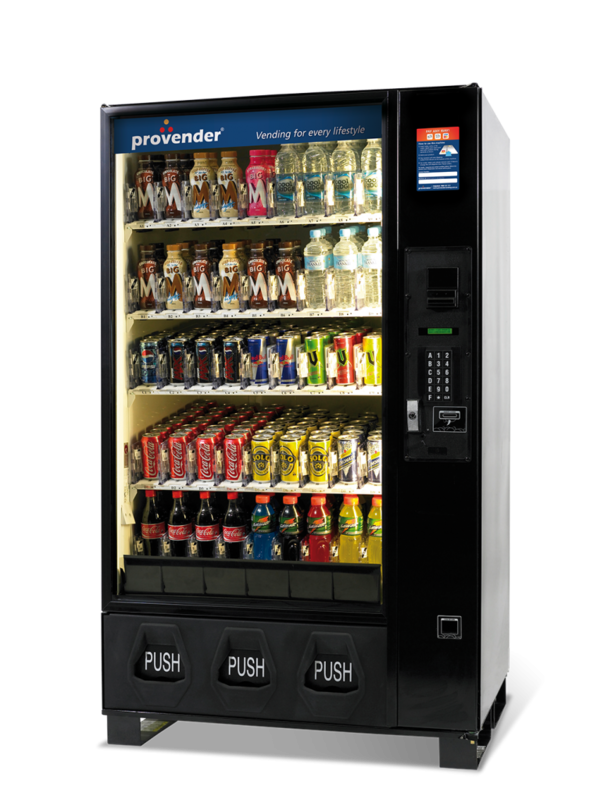 Selection of snacks, cold drinks (can and bottle) and confectionery from the leading brands. Transportable – fits in lifts and through standard doorways. Compact – small footprint 735mm x 855mm. Narrow width means this can virtually fit anywhere. A wide range of locations. This is perfect for a position where space is tight. 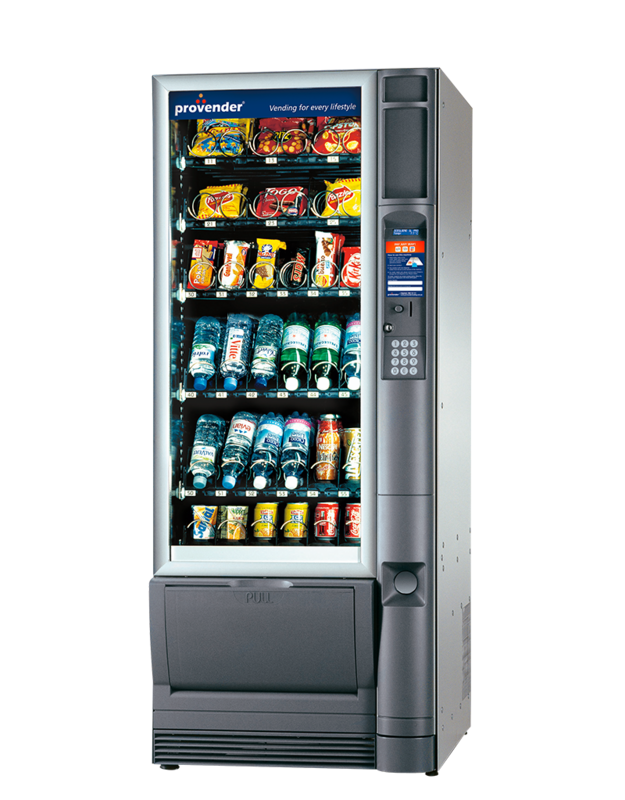 Selection of snacks, confectionery, fresh food and cold drinks (can and bottle) from the leading brands. Samba, with its neat and understated aesthetics, looks good in any environment. Rated as ‘A+’ on the European power consumption-labeling scheme. 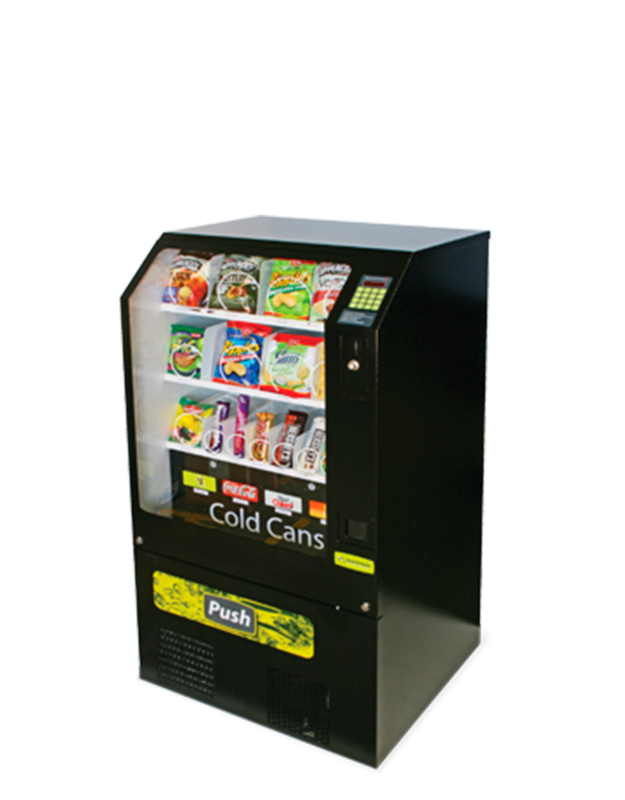 Flexible layout that can offer both snack, cans and bottles. 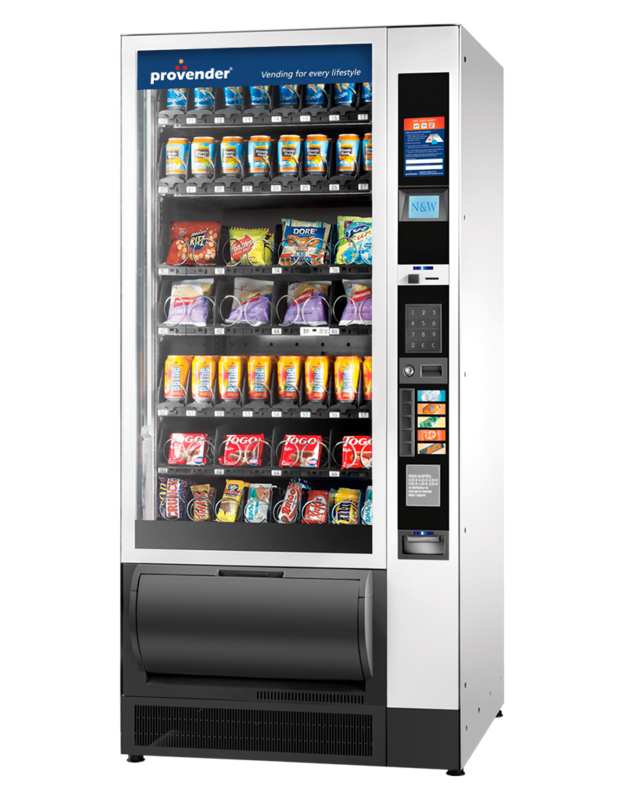 Softvend elevator dispensing system stops products dropping from a height and allows a bigger range of products to be vended. Option for 5 direct select buttons. Narrower design fits through standard doorways. Can dispense fresh food in temperature monitored zone. 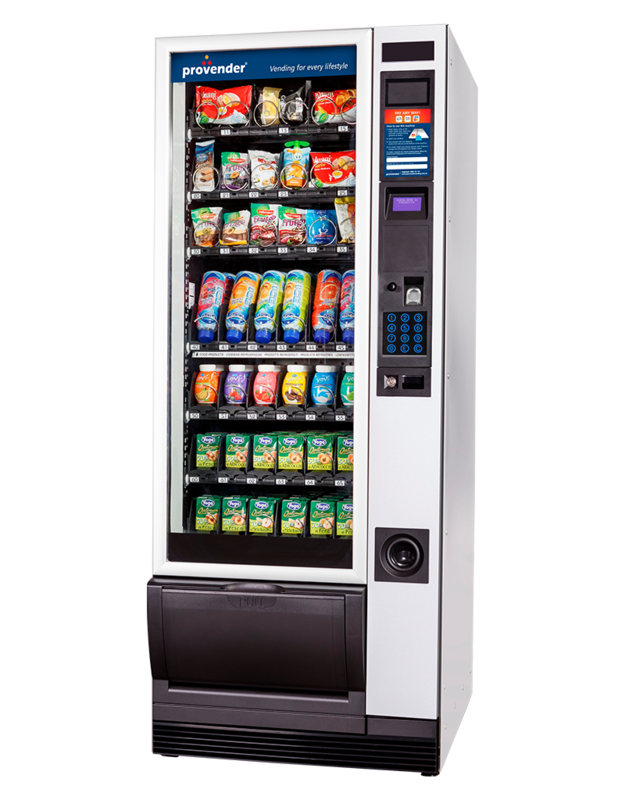 A wide range of environments, particularly for locations that require fresh food or glass bottle vending with soft delivery mechanism. Great mix of size and capacity.